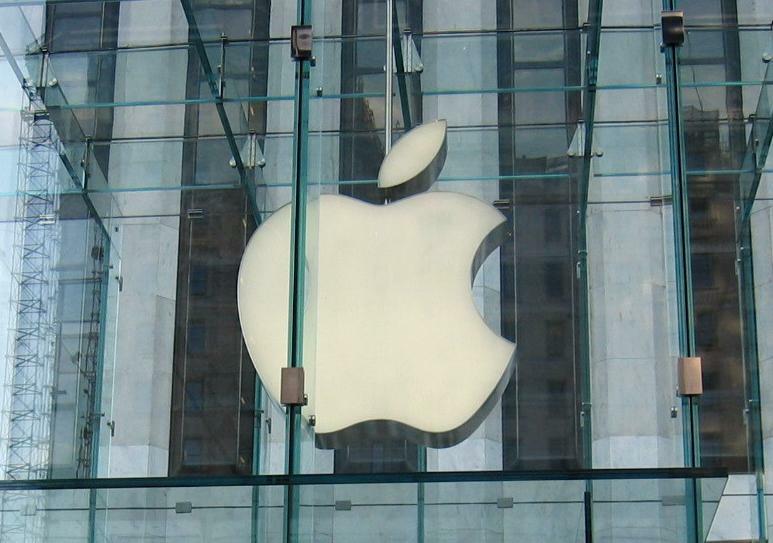 Look for a cool Apple sign in any prominent location. 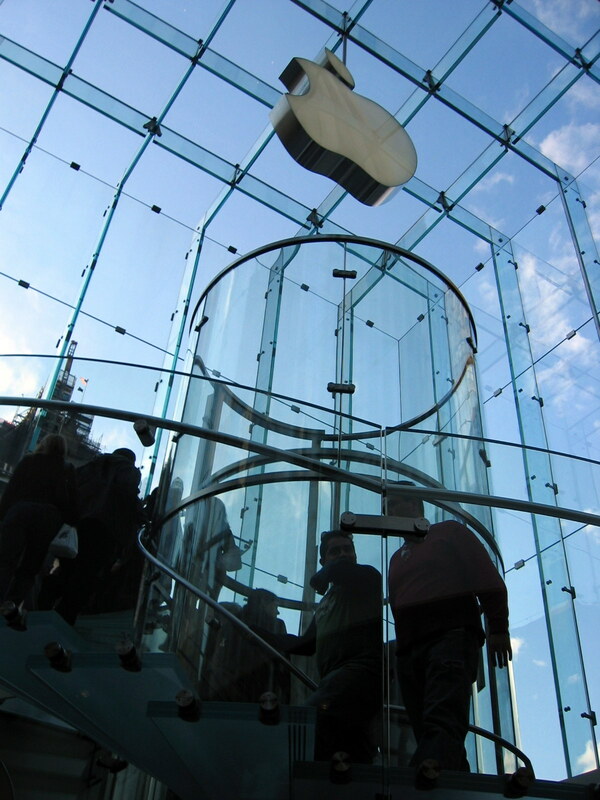 Follow it and you will enter a glass clad store with a big trendy posters on the walls and series of Macs, iPods and other Apple products. But one special thing to notice there is it looks more like a hangout place or a cyber cafe than a store. What you will see is lots of people standing around surfing the Web and playing with Apple products and accessories. So what is Apple trying to do with these stores? 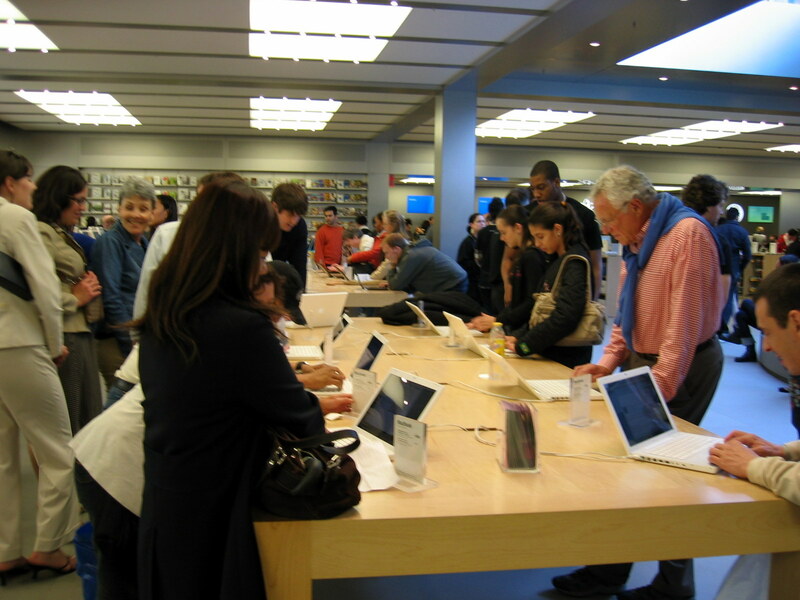 Retail sales of iPods or Macs is certainly not the primary objective of these stores. Let alone primary, I think its not even the secondary objective (in fact when I was taking to a sales person about an iPod, she told me that I might want to think about buying it online, because then I can get a personal message engraved on the back of it). 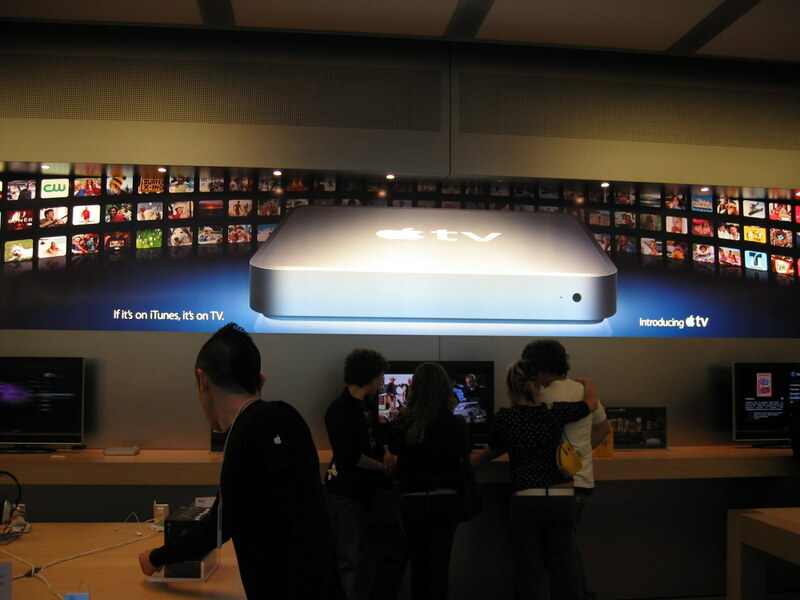 The primary objective is to maintain a cool brand image that Apple is well known for. Secondary objective is to let people use the Macs and other Apple products and let them know that there is another alternative available for them. And then if the store sells products and accessories, great! First of all, its worth admiring the artistic architecture of these stores. They look more like museums than stores. The one in New York on the fifth avenue is truely mesmerizing. Next thing to notice is the relaxed and calmed atmosphere in the stores. Customers are made to feel at home and they get close to home like experience while playing with the products. This is really a great strategy. People who are so used to using Personal Computers get exposed to Mac as an alternative and all the i list of products that work only with it. Another way Apple is marketing Mac and the bundled software at these stores is by arranging free training sessions (this is something I experienced in New York). Everyday they have guests from different fields varying from film editors talking about iMovies to web site designer giving a demo of how to use iWeb. By doing this, Apple is trying to create a thought process in minds of customers that anything cool they want to do on a computer can be done using a Mac. An interesting way to look at these Apple stores is to look at them as really expensive billboards on busy streets. Billboards that talk to the customers, let them get in and experience the products and educate them on how to use the products. Billboards that are updated regularly to expose the new products and create buzz about the forthcoming products. Travel in metros, take a walk down any public park or just wander on busy streets, you will see one thing in common, every third person will be listening to an iPod. And this is not specific to a certain city, the same thing is happening everywhere. 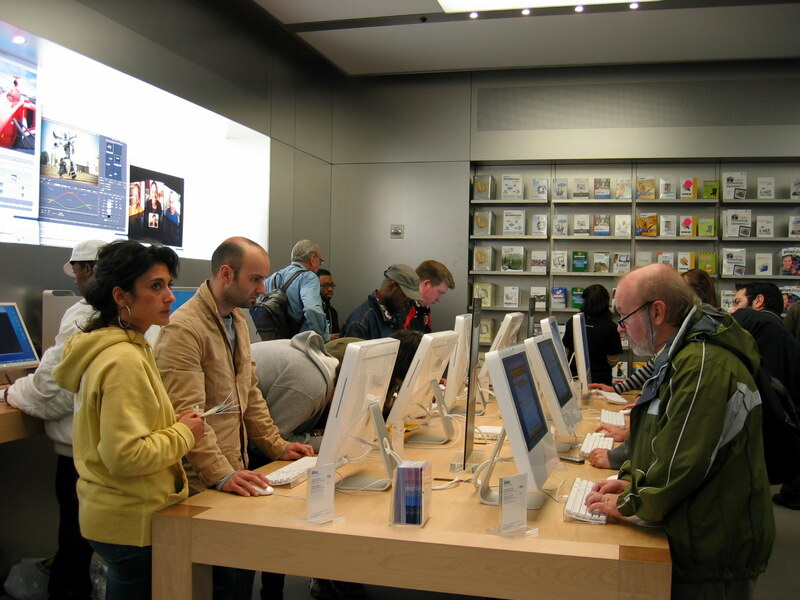 iPod has created a confidence in customers for Apple products. Now Apple is exposing the same customers to other products. If Apple gets the price equation straight for its products, it won’t be surprising to see them creating Applemania in other markets as well. Spider-Man 3 trailers aired by Sony Pictures were squarely out-numbered by Spider-Man 3 based promotions run by other companies. Tune in to any television channel and you will run into ads from Comcast, Trix and Kraft featuring Spider-Man 3. Turn on the radio and 7-Eleven spot will catch your attention. Go to Burger King or Walmart, and you will see the Spider-Man 3 promotions going on there. Walk down the Times Square, and you will see large Spider-Man sculptures in Virgin Store, Toys R Us and M&M World welcoming you in the stores. Spider-Man 3 is a great example of network marketing at its very best. The movie that broke World box office record in its opening week partnered with about a dozen companies for promotion. Comcast, 7-Eleven, General Mills, Kraft, Walmart, Burger King, Toys R Us and others ran Spider-Man 3 advertisements. In fact, just General Mills, Kraft, Burger King and Comcast spent a cumilative of $100 million airing custom spots, many of which produced in-house at Sony Pictures with the help of the studio. Sony Pictures leveraged the brand name of Spider-Man extensively to make the most of the third addition of the Spidey movies. This prompts a question that out of hundreds of movies coming out every year, why do advertisers jump onto a select few to spend millions? I think among other things, it depends on how well the movie is branded. The Spider-Man brand has a lot of good things going for it. Firstly, the brand got a solid establishment from the first two Spidey movies. Secondly, the universal appeal of the Spider-Man to everyone from a kid to an adult adds to the scope of branding. Another very important thing about the movie, which pulled in a lot of partners, is the creative concept of a simple person gaining extraordinary powers by donning a mask. This gives an “aspirational” value to the movie. The partner companies were able to target their customers by interpreting this value within their own World. To create a successful partner network, the central entity should have enough meat that can be shared with all the partners. Thats so much true with Spider-Man 3. Spider-Man theme gives a lot of space for partners to evolve it and grow it in their own Worlds. Like Activision, another partner of Sony Pictures, is coming up with a Spider-Man 3 video game late in the year. Burger King developed a scratch-and-win game in which customer choose to reveal what’s behind their red-and-blue or black spidey, with a 50% chance of winning a prize everytime they play. The prize list includes some top prizes worth a million dollars making it even more attractive. Burger King also designed a kids meal promotion with 10 different Spider-Man theme toys to attract kids. Mass retailers like Walmart and Target have interesting activities related to Spider-Man World to attract customers to their stores. All these partnerships gave scope to the partners to attract customers with the help of the blockbuster movie. One deal that worked really well for Sony Pictures is the partnership with Comcast as a media partner. Sony studio lacking the TV network to promote the movie, hooked up with Comcast to do that for them. Comcast being the largest cable television provider in US came up with a special on-demand channel featuring exclusive Spider-Man 3 content and increasing the excitment for the movie. Along with this, it also kick-started the buzz for what is said to be the forth and final addition of the Spidey movies with an exclusive trailer. One of the most important things in order to do the integrated marketing correctly is the choice of right partners, and looking at these examples, Sony Pictures should be given full credit for doing a wonderful job in that space. All this brought together makes Spider-Man 3 a perfect example of integrated marketing efforts, and another example to show the overall power of integration! Neon lights, classic advertisements and mesmerizing retail stores – that’s Times Square in a nutshell. No wonder it’s the World’s biggest tourist attraction. I think there is no place in the World that brings together Advertising, Marketing and Technology in a way better than Times Square (Adscovery being an exception;-)). Some cool facts about the Times Square – It accounts for about 0.1% of New York City’s area, but accounts for 5% of city’s jobs and 10% of city’s economic output. The total economic output of $53 billion is more than the combined GDP of Bolivia and Panama. With more than 40 million people visiting the place every year, what better place out there to advertise than Times Square? Annually aroung 1000+ hours of broadcasting are made from the Times Square. But in an industry where the cost is directly proportional to the number of eyeballs, marketers have to dig deep in there pockets to advertise on the Times Square. The CPMs here ranges from $2 to $5 (prime time TV CPMs are around $20). Advertisements are like the life blood of Times Square, both in terms of economic returns and making the place glow. The return of these advertisements for the marketers has grown exponentially with the advent of social networking and sharing websites like YouTube, Flickr and MySpace. People love to take pictures and videos of these advertisements and share it on these websites increasing the number of views by a large factor. Another major attraction on Times Square are the stores. The amount of creativity that goes in these stores is unparallel to any retailing experience in the World. From sugar rush stores of Hershey’s and M&M to kid’s paradise at Toys R Us to Virgin and MTV stores, Times Square has got it all. These stores do a great job of brand uplifting for these brands. Even if people don’t end up buying products at that perticular moment from a store, it leaves a lasting impression creating a strong brand equity. I won’t even classify these stores as just retail stores. They are infact highly interactive billboards. A billboard that communicates a message to the customers and invites them to experince the brand. Take for example the Virgin megastore. It has around 600 listening posts and 100 video posts in the store. Then there is the M&M World where literally walls and walls of M&M in different colors, sizes and shapes are there to entertain the “visitors”. Times Square doesn’t end with billboards and stores. Add to the mix the theatres on the Broadway, skyscraping hotels, NASDAQ stock market and a couple of music shows in a year right there at the Square, and you can imagine the complete picture. Kudos to the City of New York for maintaining the place and all the marketers, advertisers and designers who put so much brain and energy to each and every square foot on the Times Square to make it a magical experience.